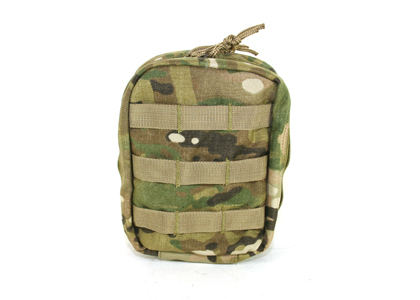 This EMT Pouch is perfect for carrying medical supplies or first aid kit. However, it can be used as a small utility pouch to carry all those items you do not want to lose during a game, such as keys, cell phone, etc. Elastic retention straps secure the contents inside the pouch. 1 inch MOLLE attachment system. All Condor Outdoor Multicam Pouches are constructed from authentic Multicam material by Condor Outdoor under license from Crye Precision. 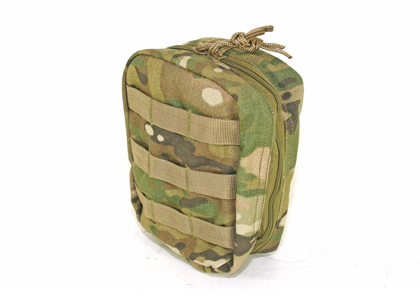 a great pouch for who ever is looking to add to their molle pouches. a very simple pouch that can hold many things. I've used it for ammo,magazines,medical supplies, and a small nalgene bottle. 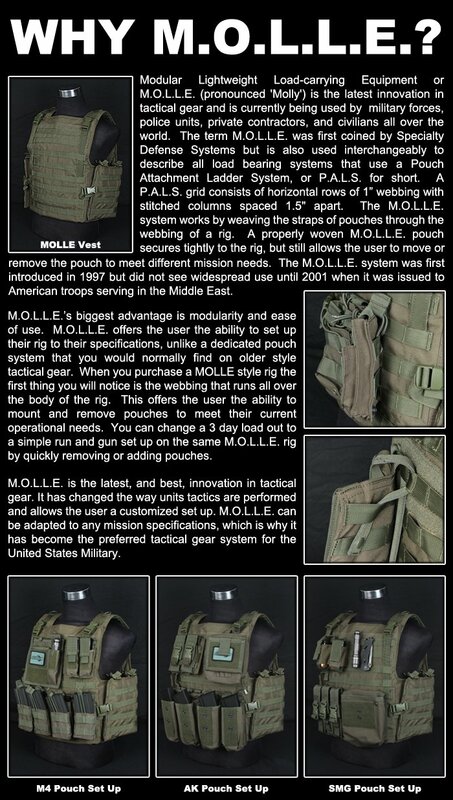 very good for a molle vest or web gear/web vest. may seem small but is a very good pouch for airsoft. sturdy,thick,strong,great camo,excellent straping inside to hold what I deem necessary to fit or need. This Pouch is Exceptional. I have this on the Rig for obvious reasons, and I have had it come in hand both on and off field, hence why I have 2 of them. One is on the rig, and the other is not attached to anything. They are packed the exact same way. I am a trained and certified First Responder, and have had a number of occasions where I have been called upon to use my Load- Out off the field, including a Fatal Hit & Run. Thanks to the capacity of a seemingly compact pouch, I can pack enough in there to treat 3 people with a wide range of injuries, or stablize one person with severe injuries, as happened with that Hit & Run. Fits enough Medical Supply to treat multiple people with various Injuries. I carry Supplies for Splints(Broken Bones), Ointments (Burns, and cuts), Butterfly Strips (Open Wounds), Ointments, Cleaning Pads, Medical Tape, and even the tools needed to remove glass, or small foreign objects. I am also able to carry 2 Mylar Blankets, one small, and one large, just incase one goes into shock, or worse. This is an example of your gear taking care of you, and those around you. I have been called upon to use this particular product, and it's contents, in multiple situations in which I am trained and certified to do. Unfortunately, one of them was essentially DOA(Dead On Arrival) by the time I got to him. I have two of these pouches. One for airsoft; the other I have for work/camping etc since I won't wear a fanny pack. Both have been great. The webbing on the inside is great for storage. I use my multicam pouch on my battle belt/H-Harness set up as my utility pack. Carries my dead rag etc etc etc. Great pouch. The size is spot on for a light utility pouch. The older style molle straps aren't quite as "sturdy" as the newer ones. Unsure if this pouch has been updated. Never had it fall off my person, but I had noticed a strap or two come undone while moving around with it.